The ‘abhorrent’ plans, according to Metchley Park Residents Association, were turned down last Thursday. The plan involves building ten new student housing blocks as well as a multi-storey car park on Pritchatts Road in Edgbaston. This would add to the 7,000 beds that the University owns independently, as well as working with other private letting companies such as Liberty Living. However, it is the secondary elements to the plan, which hope to build townhouses on Pritchatts Road, away from Pritchatts Park Village, where the University has faced a backlash from Birmingham City Council and from Edgbaston residents. Although Owen says the new 302-bed accommodation will ‘compliment the environment’ and ‘create a community that feels part of UoB’s campus,’ the Council have deferred the initial application. 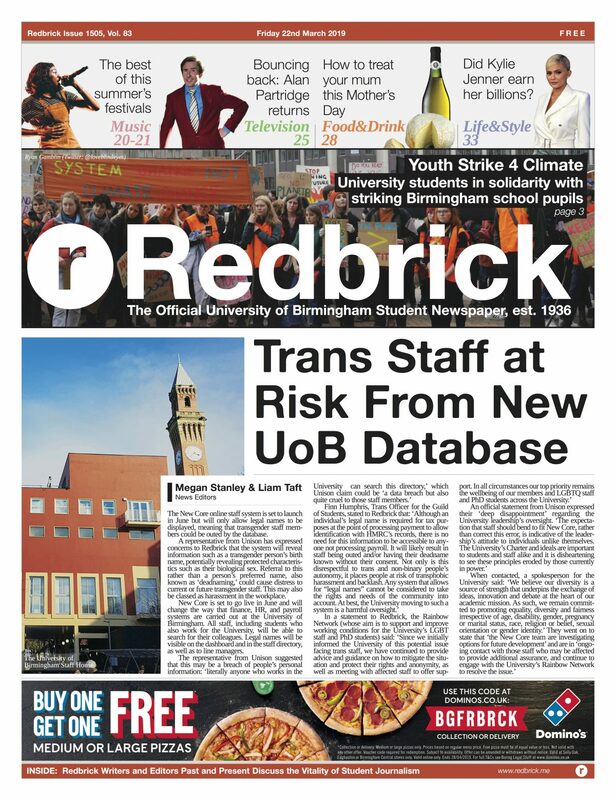 Although the University is ‘disappointed’ with the current stages of the plan, Owen told Redbrick that an extensive consultation has been carried out with Pritchatts Park local residents, the University’s hotel and local residents. This has led to a ‘re-design’ of the proposals. A new 600-space carpark, also included in the new plans, would ‘not be adding extra car parking space’ as the University are ‘just replacing what’s been lost’ from recent projects such as the UoB Sport and Fitness Centre and the Green Heart, Owen told Redbrick. Despite this initial rejection from Birmingham City Council, Owen still strongly believes in the plans that have been put forward. Owen told Redbrick that a total of 98% of students want to live closer to campus, and the University ‘want to offer the best possible student experience. ‘Everything we do is designed with student experience in mind. Students and the community have lived alongside each other in harmony, so we’re not doing anything new, there’s nothing new, there’s nothing that’s changing the face of the area,’ Owen continues. Birmingham City Council’s next meeting will take place next Thursday, which will confirm the final status of UoB’s plan.